25 Years ago The Dandy Warhols crashed the party in a self-professed “massive concussion of rock ‘n’ roll”. They brought cool looks, sharp, edgy, clever up-tempo guitar pop, tight vocals, attitude and charisma from nowhere in particular and set about to conquer the world. They dropped a trio of scorching LP’s and cemented a solid back catalogue with a lot of good good songs and broke into the crowded UK indie and European charts of the day with a devil-may-care swagger. And that’s the problem right there. How was that kind of momentum ever sustainable. Well, for The Dandy Warhols it wasn’t. After a while the cool posturing wilted, the energy faded, and the golden goose, The Dandy’s chief song smith Courtney Taylor who once noted how “I sneeze and hits come out”, stopped laying. Where do you start? Well for kick offs no energy had been unearthed in some Robert Johnson style deal at the crossroads. 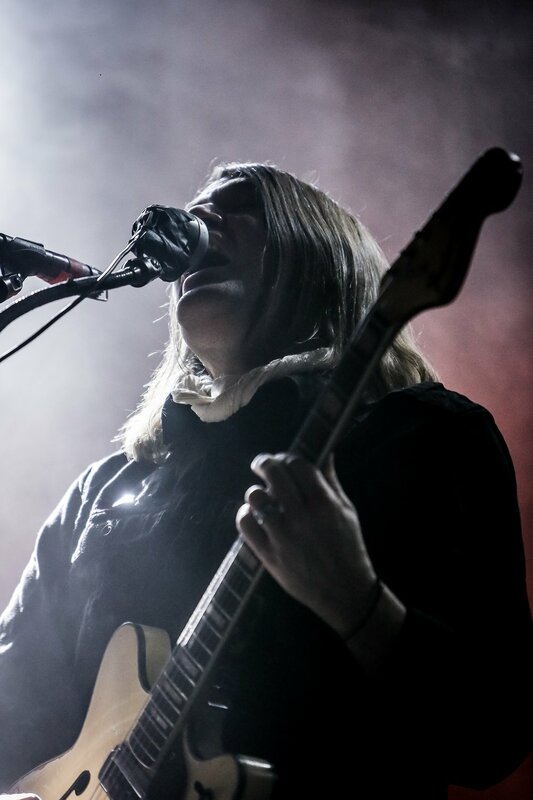 If anything, the rigors of anniversary touring seemed to weigh heavily on the aging Dandy’s as they crept onto a frigid and darkened stage without the faintest pretence of riding a shock wave of anything at all. And then it all went south. Everything stayed dark. Were the lights broken or was that the plan? Bummer. It was the plan alright. So they’re gonna stay all remote and mysterious. Maybe they looked better that way. Hey, hopefully the sound will smash it. It’s all about the music right? Sadly no. WTF was that all about? The sound was dreadful to the point of negligence. Barely audible and tinny vocals trickled out of an asthmatic PA that appeared to be dominated by a really irritating and nauseatingly woolly bass drum, drowning not only any other trace of the drum kit but also the predominantly thin guitar work which, having had the guts sucked out of it by the greedy bottom end, was clearly on life support. Talk about lacking oversight. You’d of thought that The Dandy Warhols, who claim to dine at the top table of art and creativity as they do would have put some thought into the production value of this, a most auspicious statement tour. Surely they must have recognised that any diversion from their musical lethargy would have been handy. As it was the prospect of a balloon drop fit for......well...... a retirement do spoke volumes. High in the lofty Albert Hall roof a modest net of silver balloons hung forlornly, promising a climactic concussion of naff-ness to excite a largely subdued audience. Much like the Dandy Warhols however, it proved to be of marginal interest and ultimately rubbish on the night. It doesn’t matter how many “hits” you had, once. What is right now telling you. Well at least now the ever rumbling debate over the merits of balancing ambition over integrity so brilliantly documented in the movie “Dig” concerning their collective adventures with The Brian Jonestown massacre can be put to bed. 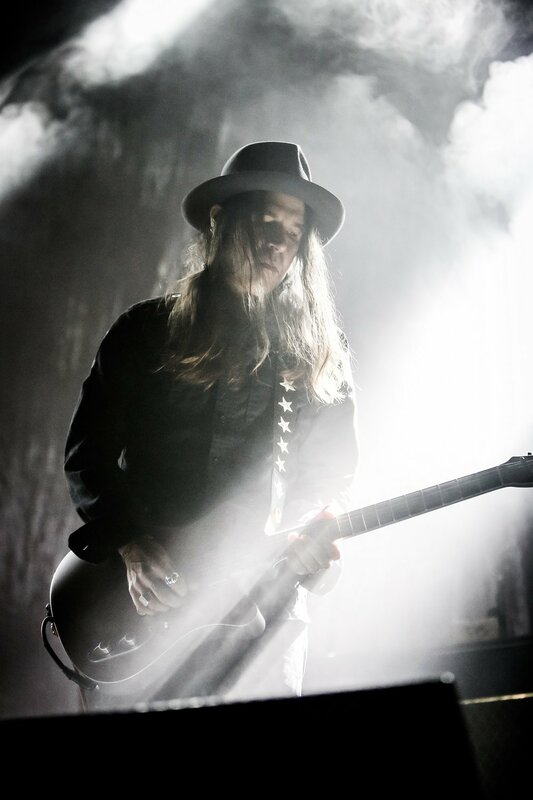 Like the proverbial hare versus the bullet proof tortoise, The Dandy Warhols lost that one hands down to their continually evolving and experimental bed fellows the BJM who continue to push ahead way past their 25 years with constantly challenging re-incarnations. Of course, it all makes sense now. The Dandy Warhols did make a deal with the devil, after all, back in the day at Capitol records and he’d called it in years ago! !